Following up from the Nike SB Janoski “Hacky Sack” is the Nike SB Satire “Hacky Sack” which arrives in a similar graphic pattern. Less obtrusive with more of an equal balance of black and white, these are the sneakers to get if you’re trying to only have a smaller pop of color. 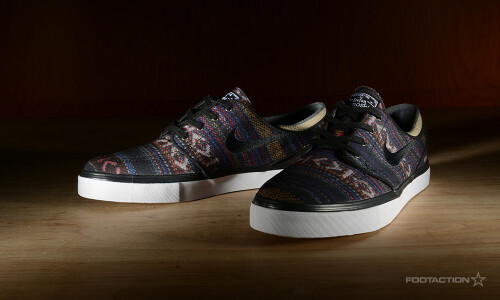 Much like the Janoski, the shoe is perfect for a day on the town or just lounging with some friends. Which pair do you prefer?